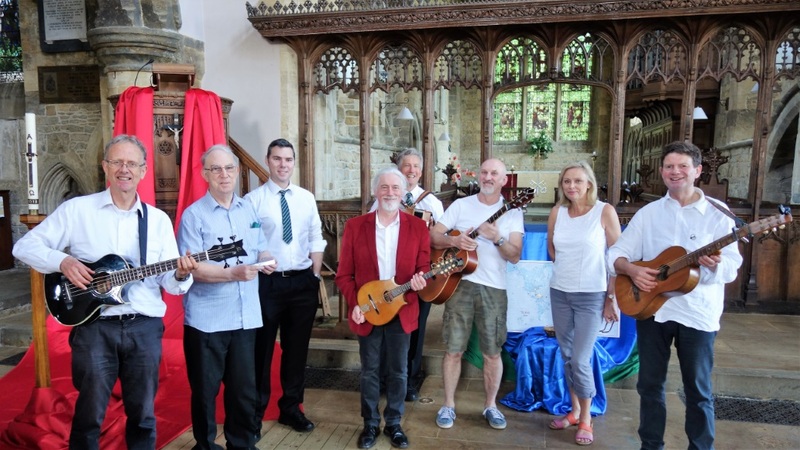 After the Gospel Bell performance at the Banbury Friendship Festival, we travelled on to Deddington, where we enjoyed plates of cakes, tea and a warm welcome at the annual ‘Teas in Church’ series of Sunday afternoons in May and June. As always, we enjoyed playing in St Peter and St Paul and several people came over at the end to say that they’d enjoyed the songs we play. The church was beautifully decorated following the Pentecost Sunday morning service, with prayer stations to facilitate prayers for the world.